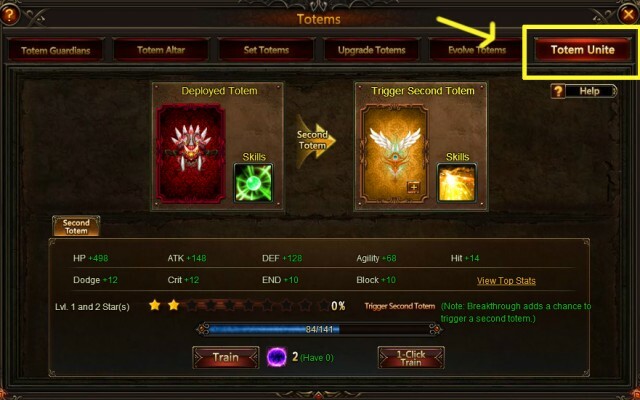 Totem Unite will appear in Totem System on Sep 10(server time) after version update. You can trigger second totem to get higher stats and boost your Battle Rating. Here's the guide to the new gameplay. 1. Deployed Totem has a chance to trigger a second totem when in effect. 2. A opal totem(resting) is different from a deployed totem and can be selected. 3. 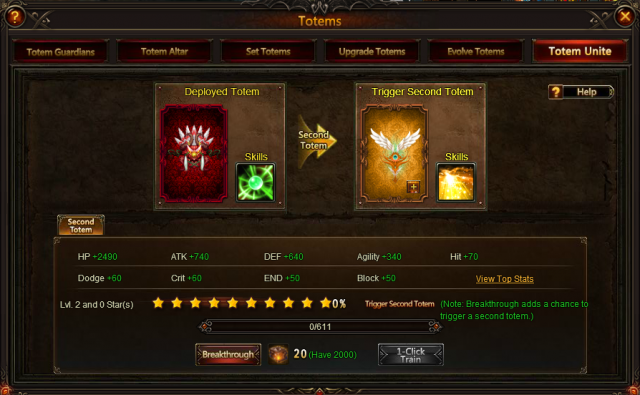 The second totem's stats will be added to all units in battle once it's set successfully. 4. The second totem slot can be trained to boost stats for units in battle. 5. 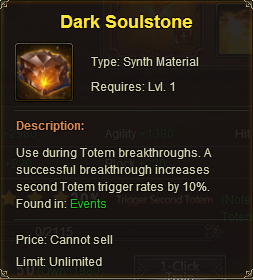 The second totem socket can make a breakthrough upon reaching 10 stars. Each breakthrough increases second toem trigger rate by 10%. 1.Consume Soulstone to train second totem. 2.When reaching 10 stars, consume Dark Soulstone to make a breakthrough. Use during Totem breakthroughs. A successful breakthrough increases the second toem trigger rate by 10%. It can obtained in event. Hope you have fun in LoA!